Bridging the Gap Counseling and Learning is a unique blend of counseling and educational therapy. Working with individuals, couples, biological families, and adoptive families, we use our unique blend of talents to offer hurting adults, teenagers, and children a pathway to healing. 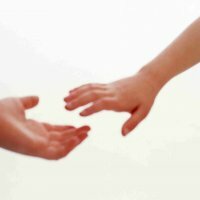 We specialize in developing a unique plan of healing for individuals with trauma, attachment issues, sensory issues, relationship struggles, deep emotional wounds, impaired learning, and social problems. Our business is currently expanding so we are doing renovations on real estate we have purchased. Since our new business has more space, we want to include a sensory integration room for children and teens who have sensory issues. An effective sensory room needs equipment such as bean bag chairs, a snuggle canoe, a texture board, lighting, and a machine for visual stimulation. The grant would go toward outfitting and equipping this room. The equipment for a sensory room is pricy. The grant would enable my business partner and I to have a fully equipped room to calm clients who are upset, on overload, or have a wealth of sensory issues. This room would be part of the sensory diet we develop for countless individuals. We take on many clients who cannot afford full payment for our fees so many clients so we offer discount rates and have several clients that come to us for free. We would pay it forward to these clients who are in poverty or in great need who have deep wounds that need to be healed.